SEOUL, South Korea (AP) — Samsung Electronics estimated its first-quarter operating profit jumped 56 percent to a record high, likely because demand for memory chips continued to be robust, outweighing lower display sales to Apple. The South Korean tech giant said in its preliminary earnings report that its January-March operating income was an estimated 15.6 trillion won ($14.7 billion), compared with 9.9 trillion won a year earlier. The estimate was higher than expected. Sales rose 19 percent to an estimated 60 trillion won. The company did not disclose its estimated net income. It will announce breakdown figures among businesses and more details at the end of this month. Analysts said Samsung likely recorded lower profit in its display business that supplies OLED screens for Apple's iPhones but strong demand for memory chips outweighed weaker display sales. Samsung unseated Intel as the world's largest semiconductor maker last year on the back of solid demand for chips that hold data and help run programs faster for servers and phones. Analysts increased their forecasts of Samsung's memory chip profit this year as demand for data centers and servers increased the prices of the memory chips called DRAM. 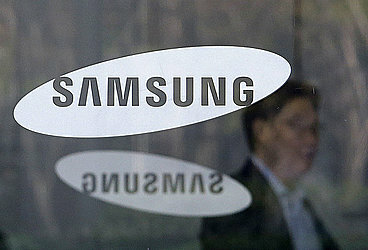 Samsung's mobile business is also expected to report a bigger-than-expected income for the first quarter. Samsung unveiled the Galaxy S9 smartphones in February, starting its sales sooner than the previous year's flagship phone. While consumers become more reluctant to spend big on the newest smartphone, sales of older and cheaper Galaxy phones remained solid.